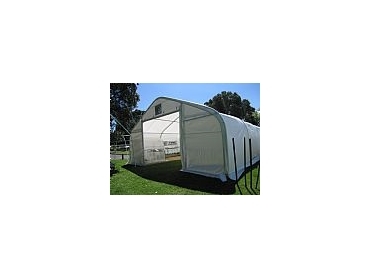 Shelter Station WA Pty Ltd makes available the new portable barns that have been designed as an affordable alternative to conventional style barns. The portable barns are simple to assemble and easily relocatable when customers require flexibility and need an instant solution. Large doors at both ends of the barns enable access for large farm equipment and truck loads of hay.